The second entry in the series of post-apocalyptic shooters that take the players to the Earth ruined by an asteroid. In RAGE 2 the players assume the role of Walker, a guardian trying to interrupt the plans of the Authority that controls the world. 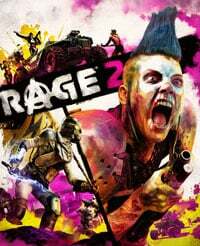 RAGE 2 is a sequel to the first-person shooter developed by id Software and published by Bethesda Softworks in 2011. The new game was made in cooperation with Avalanche Studios (the creators of the Mad Max and Just Cause series). Similarly to the previous entry in the series, RAGE 2 takes the player on a journey through the post-apocalyptic Earth, ruined by an asteroid. The survivors were forced to live under the tyranny of the Authority led by General Cross. The general is doing whatever he can to kill everyone who comes from Arcs – special vaults in which selected individuals could survive the apocalypse. The players assume the role of Walker – the last Guardian from Vineland. He is trying to stop Cross’ plans from realization. RAGE 2 features a vast, open world that consists of deserts known from the previous game, remains of an old civilization, post-apocalyptic cities and settlements, swamps, and jungles. Like in the first RAGE, the map can be traversed on foot or by using various vehicles. In addition to exploration, the gameplay features elimination of hordes of enemies with a variety of guns. The players can modify their weapons in order to increase their combat potential. Walker can also use special skills provided by implants called the Nanotrites. They enable the protagonist to perform deadly attacks like a ground hit or an energy surge that throws away all nearby adversaries. As the players progress through the game, the protagonist learns how to implement the implants into weapons – after filling a special bar and activating the Overdrive mode the weapon is dealing more damage, it gains new parameters and Walker’s health begins to regenerate. Contrary to the first RAGE, RAGE 2 is powered by Apex technology – the same engine that was used in previous games developed by Avalanche Studios. This enabled the developers to create a true sandbox game without having to worry about the limitations of id Tech engine.